Planning a wedding is no walk in the park, there are so many tasks that need to be coordinated and completed in time for your big day. Murphy's law often manifests itself during the wedding planning process - anything can go wrong, and it will! It's great if you are using the Wedding Planning Checklist, it will help you stay focused and organised. However, you need to pay special attention to certain areas of your wedding planning process to enjoy a flawless operation and a more fulfilling wedding planning experience. What are the biggest mistakes brides-to-be in the Middle East are making? You are probably making some of these mistakes yourself! 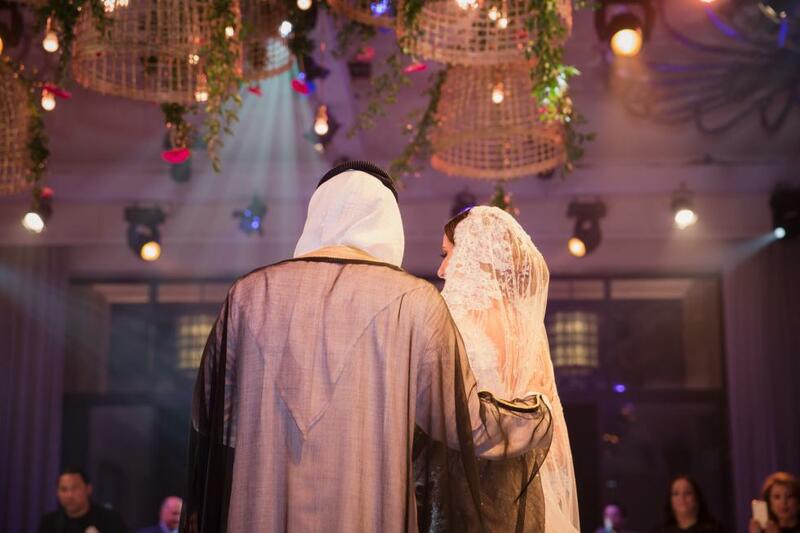 We asked wedding planners in Dubai, Kuwait, Beirut and Amman, with a long experience in planning weddings all over the region, to tell us what are the most common mistakes brides make when planning a wedding. "One of the most common mistakes brides could commit when planning their wedding is not hiring a wedding planner," said Zainab Alsalih, Founder/MD of Dubai-based Carousel. "The most obvious option for them becomes DIY (do it yourself), but it is wrought with risk, frustration, wasted energy, wasted money, and the end result will most likely be far short of what the bride expects. The other option is to have family and friends help, but the risk there is you don’t have anyone for the event itself. A significant amount of frustration can arise from planning and executing a wedding without a high degree of experience and professionalism. Keep your friends as friends, and hire professionals for your wedding", advises Zainab Alsalih. Jardel Silva, CEO of Event Chic Designs in Dubai said: "A common mistake is for brides & grooms to outsource each aspect of their design to various suppliers in the effort of saving cost. For example, lighting will be given to one person, flowers to another, design, décor, sound, catering and the list goes on and on. Eventually, there will be a point in time where a single miscommunication could hamper the progress of the wedding. Weddings happen once in a lifetime and it is very important that clients hire a wedding planner who is able to suggest suppliers and vendors with whom they can coordinate should the need arise." Majeda Kassir Bisharat, Creative Director of My Event Design of Jordan confirms this point by saying that one of the biggest mistakes brides make is "when they think they are the wedding planners and want to do everything on their own". Majeda also added saying that a mistake brides commit "is when she contacts a supplier behind the back of the wedding planner trying to outsmart him/her. This causes a negative and untrustworthy journey." Bibi Hayat, Founder of Kuwait-based luxury wedding planning company The November Events Co says: "I feel brides start meeting planners and discussing concepts and ideas without first discussing budgets with their families, or whoever will be paying for the event, so what happens is the planner starts giving her ideas that she really truly goes crazy for, and then sometimes these ideas end up costing double her budget, she can never be truly happy with the scaled down version". "At our company we go through a budget breakdown before discussing ideas so that we can avoid this issue, because the Internet and social media are full of million dollar weddings and no one truly understands their cost except those of us in the business, and it's heartbreaking to tell a client that that look is unaffordable. We prefer to go around it the other way! Budgets and logistics first and then the design! ", added Bibi Hayat. Toni Breiss, Founder of Beirut and Paris-based Level also stresses on the importance of setting a realistic budget and prioritising the main budget items. He says, "as exhilarating as it may be, planning a wedding requires the couple to set an accurate budget throughout the whole process in order to avoid any confusion. The bride and groom may at times underestimate the budget and, therefore, it is crucial to have a realistic estimate and clearly identify the priorities they wish to mostly spend on." Majeda Kassir Bisharat, also emphasises on this point of budgets and says that a big mistake brides make is is "when they have unrealistic budgets (usually very tight for what the bride wants at her wedding)". Jardel Silva identified another mistake bride make when planning their wedding, he says: "A common tendency which clients generally incline towards is booking or selecting the venue before the wedding planning stage has commenced. This puts the planner in a tough situation, as the theme of the wedding may not follow that of the venue or ballroom. The venue could also be too small or too big for the décor and number of guests attending the wedding." Toni Breiss says:"The couple often chooses an inapt venue according to their vision, disregarding the number of guests the venue can accommodate. Prior to deciding on the venue, the bride and groom are advised to consider their guest list to ensure there is sufficient space". Bibi Hayat says: "They (brides) fall in love with everything and get overwhelmed, they should really sit down and try to avoid this by simply listing the details of their dream wedding; what style really suits me? What have I always loved? What are my favourite hues? And just because there are certain things in fashion, it doesn't mean that they reflect your style, or that you will love to see these elements in your pictures for years to come".